In 1976, Australia was a very different place. We were enjoying the halcyon days of tennis with locals winning both the 1976 Men’s and Women’s Australian Open. Hawthorne won the flag, and Caitlyn Jenner was awarded the USA Male Athlete of the Year. We were settling in to watch Montreal host the Olympics. On the wine front, Lindemans was peddling Ben Ean Moselle by the truckload, in amongst Cold Duck and Porphyry Pearl. Penfolds released their 25th vintage of Grange (the first ‘to cross the $20 barrier at release’), Orlando released Jacobs Creek and Petaluma was opened in the Adelaide Hills. In the same year Robert ‘Bob’ Stein, a young Sydney builder come businessman and keen fly fisher was turning his attention to the winegrowing region of Mudgee. Bob took inspiration from his ancestors Johann and Jacob Stein and purchased and planted grapevines on a 75 acre block of land north of the township of Mudgee. Johann and Jacob had migrated from Germany in 1838 with the Macarthurs as ‘vine dressers’ at the new Camden vineyard. In 1848 the brothers established their own vineyard in Camden on the outskirts of Sydney. Legend has it that the brothers shared a bottle of their Rhine Riesling with Sir Henry Parkes and explorer Ludwig Leichardt; growing wine and sharing it with family and friends was in Bob’s blood. In 40 years the Australian wine scene has changed markedly. However, the Stein’s block of land in Mudgee has continued to thrive. 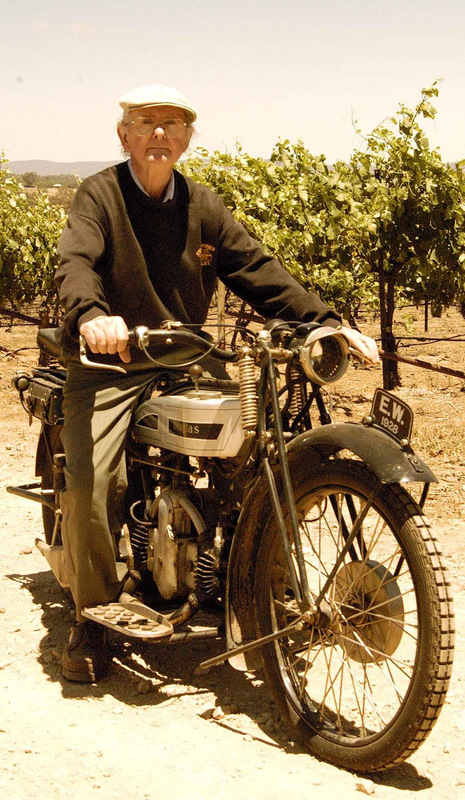 Upon Bob’s retirement his son Andrew joined the winery to help grow the business. More recently, grandson Jacob has taken on the winemaking role and set new benchmarks in the region. Their Riesling block is now one of the most revered in the region, with a host of awards. The reds, including their Reserve Shiraz and Reserve Cabernet Sauvignon continue to win acclaim. The Stein family will be celebrating 40 years of winemaking with a number of events during the 2016 Mudgee Wine & Food Festival which runs from 9 September through to the 3 October 2016 (further information to follow). Their cellar door along with Robert Stein's motorcycle museum, located on Pipeclay Lane in Mudgee, is open 7 days a week from 10.00am to 4.30pm. Further information on Robert Stein Wines can be found at www.robertstein.com.auand the Mudgee Wine & Food Festival at www.mudgeewine.com.au. 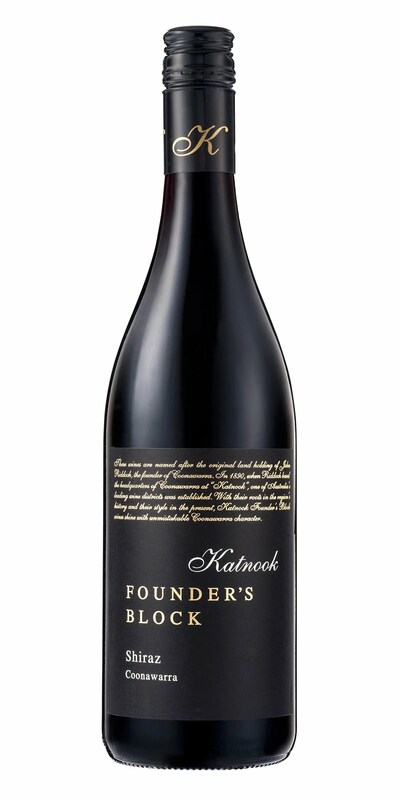 Katnook’s 2015 Founder’s Block Shiraz - Coonawarra. ONE TO NOTE: IF you're into your roast beef, and the more-so with a peppery sauce that's just spicy enough to give it that little extra oomph, an ideal wine to pair it with it is Katnook's 2015 Founder's Block Shiraz out of Coonawarra. From a vintage that enjoyed warm summer days and cool nights that were ideal for flavour composition, this is a wine with lovely raspberry and plum fruit flavours, varietal Shiraz pepper and spice overtones and noticeable but not over-powerful oak. Coonawarra is more well-known for its Cabernet Sauvignon, but makers like Katnook have for some time now been producing equally impressive Shiraz, and which was actually first planted there 120 years ago in 1896. If you're not so much into peppery sauces as suggested above, other great food matches with this one are grilled lamb chops or barbecued bratwurst sausages. main course fish, chicken, pork or creamy pasta dishes. IF a bulk-buy looks to be in order as the white for that next dinner party but you don't want to appear to being something of a cheapskate by sacrificing quality for price, satisfy quality and price with McGuigan's 2015 Black Label Chardonnay. Because here's a great drop that's just $10 a bottle – and as little as $8 by the half- or dozen-bottle lot at some of the major chains – and when you taste it, you'll be wondering why it's not up to nearly double that. Blended from fruit from across south-eastern Australia, this is a wine that's rich with tropical-fruit and melon flavours, has a touch of oak and an almost creamy palate, and not surprisingly has been the cornerstone white of the highly-popular Black Label range for many years. Great to kick-off that dinner party with pre-mains finger foods, it's then equally at home with a whole range of main-course fish, chicken, pork or creamy pasta dishes. more balanced and food-friendly drop. ONE TO NOTE: HAMISH MacGowan had a confession when he released his 2014 Angus the Bull Cabernet Sauvignon mid this year – and that was that he had fallen into the trap of making a wine for himself in recent vintages rather than for his loyal fans, and so with his 2014 had gone back to a more balanced and food-friendly drop. 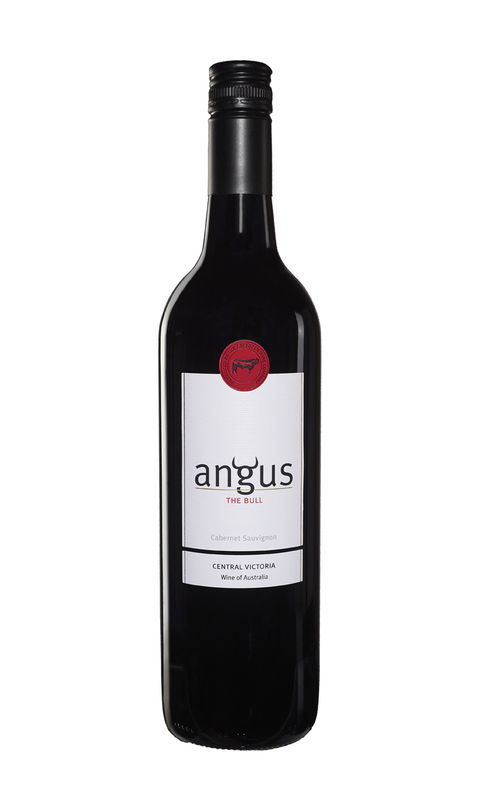 And those loyal fans will be glad he did, for here is a traditional Angus the Bull to go with a good piece of prime beef: medium to full-bodied with ripe black-fruit flavours and firm tannins, Hamish blended fruit from Central Victoria's Heathcote (61%,) Goulburn Valley (37%) and Strathbogie Ranges (2%) for this most rewarding drop that's got a nice $22 price tag. a great example from the Clare Valley. THE Clare Valley is the undeniable home of Australian Riesling, the first vines being planted there well over 150 years ago and the region today recognised internationally as producing amongst the world's best-of-variety. And a now-released stunner from one of the oldest labels in the Clare is interesting in that it's not been sourced from a single carefully nurtured vineyard to result in a wine of such quality. Rather it's fruit from a company vineyard in Watervale, blended with that from a number of local growers who have been long-term suppliers. This is the 2016 Leo Buring Clare Valley Dry Riesling, and further adding to its appeal is the price: it's just $20 a bottle, and a wine that on pouring gives off delicate floral aromas and an earthy spiciness, while on the palate it is all about forward lemon and lime flavours, steely minerality and a rewardingly crisp and acidic finish. A drop that's ready for enjoyment now, it's also one to consider a half-dozen of to put a few away for years to come, as this is one that will get seriously better over the next six or eight years. Pair it up with whole baked fish, or if you're after something with more flavour, Thai fish cakes and an accompanying sweet chilli sauce. IT'S not often we get the chance to taste a $150 bottle of what is obviously up there with the very best of the best, so when that opportunity did come our way recently it proved not only one of our most memorable tasting experiences, it decided us on just what we'll be putting with the family Christmas turkey this year. We're talking about a Wynn's Michael Shiraz from the best-of-vintage fruit off their best vineyards in Coonawarra, and made only in exceptional years when the most extraordinary of fruit is available, in this case 2013. First labelled in 1955, company proprietor David Wynn released the wine as a one-off in that year after noticing the outstanding quality of two particular barrels, and naming it Michael after his son. 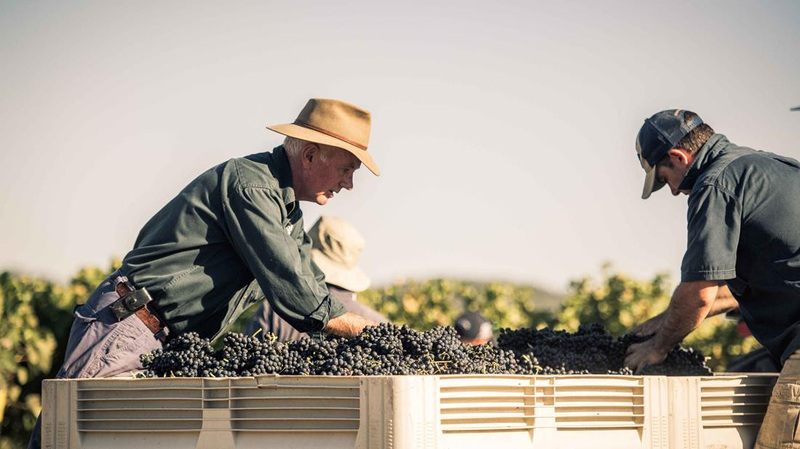 It has since gone on to become something of a legend of the Australian industry, and one of the most highly-regarded of Aussie Shiraz – which is saying something. Endless layers of fruit, spice and texture are centre to this 2013, together with powdery tannins, nutty oak and suggestions of ginger. And all of which make for it being the perfect partner with the Christmas turkey, and why all our family will be pitching-in for a couple of bottles with ours this year. wines to pair with crispy duck legs roasted with plums and five-spice. ONE TO NOTE: WOLF Blass have released a range of innovative wines under a new Blass by Wolf Blass label it says have been inspired by "a new wave of unconventional winemaking, and hand-crafted in the spirit of contemporary style and experimentation." One stand-out is a 2014 Blass Noir Barossa Valley Shiraz that was made from fruit harvested at optimum maturity from low-yielding vineyards near Greenock on the western side of the Barossa Valley. Fruit from here is noted for its intensity and rich, bright dark-fruit flavours… in the case of this wine, blood-plum and fresh berries. Pay $35 and pair with crispy duck legs roasted with plums and five-spice. the Hunter's Neil McGuigan, and a treat with lobster. IF you're a Riesling buff and the Hunter Valley's on the agenda, ensure a visit to McGuigan Wines – and that you've a lazy $65 in the wallet for a bottle of their 2010 McGuigan Shortlist Eden Valley Riesling for that next extra-special-occasion dinner. Because they've just a few bottles remaining of this incredible drop, that won itself Trophy for Best Australian White Wine at the 2016 International Wine Challenge. A naturally ecstatic Chief Winemaker, Neil McGuigan says the win reflects just how well this wine over-delivers at its price point. And while it's one to buy now on that upcoming Hunter visit – it's available only at the cellar door as all retail outlets have sold-out – it's one you'll also be able to pop in the cellar for some other extra-special occasion down the track, particularly with its exceptional cellaring potential. Made from fruit off two select Eden Valley vineyards in the Barossa Ranges, this is a drop with a lovely fresh, crisp and zippy palate, wonderfully fresh-cut lime acidity, and has that beautiful minerality that the Eden Valley is so renowned for. For that special celebratory occasion, think matching with oysters to start, and for mains grilled lobster with corn on the cob, or lobster cold with coleslaw on the side.